The benefits of okra range from high dietary fibre to its low-calorie content. 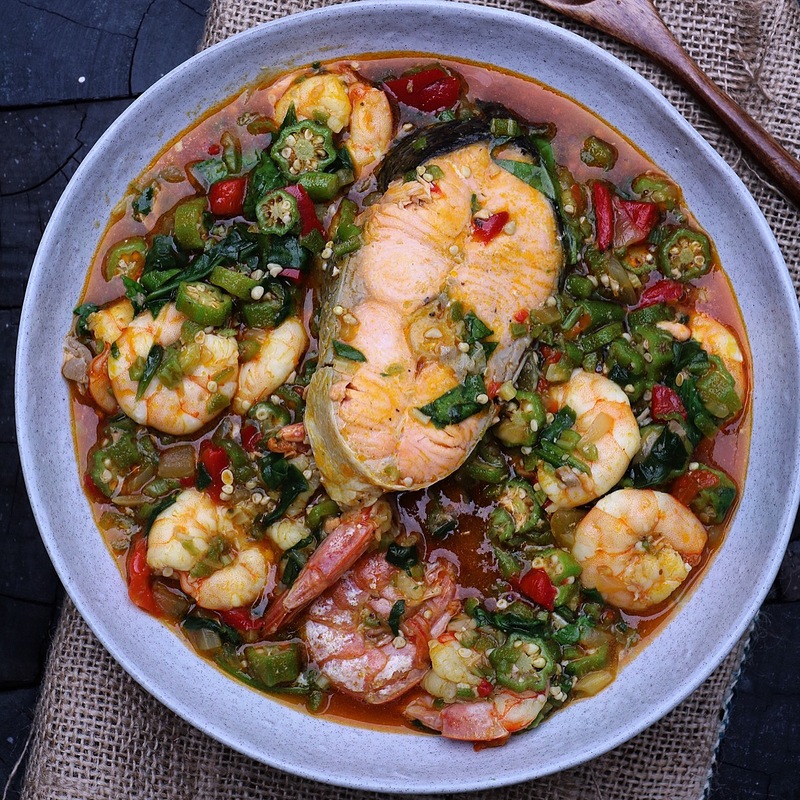 The best part about this delightful meal is its versatility; you can mix any seafood of choice with your okra. Enjoy alone or with your favourite swallow. 1. Place the seafood (fresh fish, crab, prawns and shrimp) and two cups of water in a pot. Add seasoning cube, ½ onion, salt and ground pepper. 2. Cook on medium heat for about five minutes, until the shrimp and prawns have turned pink or the seafood is well-cooked. 3. Blend half of the okra, the remaining onion and fresh pepper. Set aside. 4. Heat up palm oil in a medium pot, then add the blended okra mix and crayfish and fry for about four minutes, stirring continuously. 5. Add the meat stock in bits and stir, and then carefully add the cooked seafood. Leave to cook for about three minutes. 6. Taste and adjust salt, pepper and seasoning as desired. 7. Add the remaining chopped okra and cook for two minutes. 8. Stir in the sliced vegetables and take off the heat. 9. Serve hot alone or with a staple of choice.